The mass of the Milky Way is one of the most fundamental measurements astronomers can make about our galactic home. However, despite decades of intense effort, even the best available estimates of the Milky Way’s mass disagree wildly. 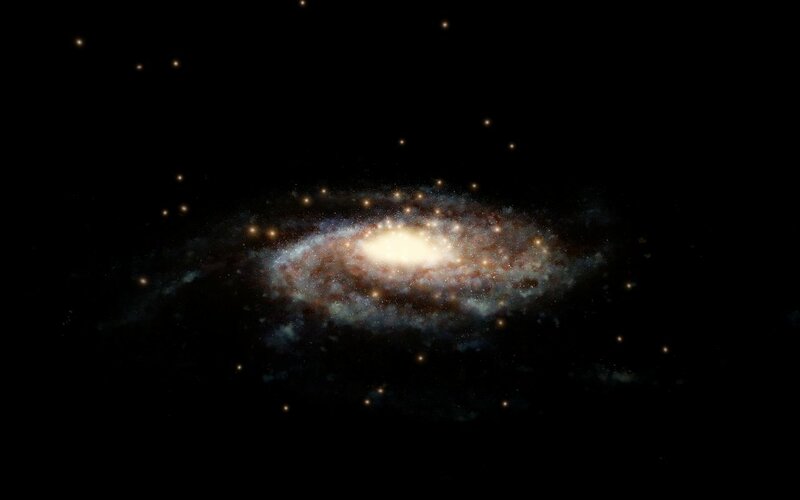 Now, by combining new data from the European Space Agency (ESA) Gaia mission with observations made with the NASA/ESA Hubble Space Telescope, astronomers have found that the Milky Way weighs in at about 1.5 trillion solar masses within a radius of 129 000 light-years from the galactic centre. Previous estimates of the mass of the Milky Way ranged from 500 billion to 3 trillion times the mass of the Sun. This huge uncertainty arose primarily from the different methods used for measuring the distribution of dark matter — which makes up about 90% of the mass of the galaxy. Given the elusive nature of the dark matter, the team had to use a clever method to weigh the Milky Way, which relied on measuring the velocities of globular clusters — dense star clusters that orbit the spiral disc of the galaxy at great distances . The group used Gaia’s second data release as a basis for their study. Gaia was designed to create a precise three-dimensional map of astronomical objects throughout the Milky Way and to track their motions. 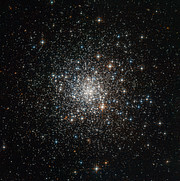 Its second data release includes measurements of globular clusters as far as 65 000 light-years from Earth. "Global clusters extend out to a great distance, so they are considered the best tracers astronomers use to measure the mass of our galaxy" said Tony Sohn (Space Telescope Science Institute, USA), who led the Hubble measurements. The team combined these data with Hubble’s unparalleled sensitivity and observational legacy. Observations from Hubble allowed faint and distant globular clusters, as far as 130 000 light-years from Earth, to be added to the study. As Hubble has been observing some of these objects for a decade, it was possible to accurately track the velocities of these clusters as well. Until now, not knowing the precise mass of the Milky Way has presented a problem for attempts to answer a lot of cosmological questions. The dark matter content of a galaxy and its distribution are intrinsically linked to the formation and growth of structures in the Universe. Accurately determining the mass for the Milky Way gives us a clearer understanding of where our galaxy sits in a cosmological context. Globular clusters formed prior to the construction of the Milky Way’s spiral disk, where our Sun and the Solar System later formed. 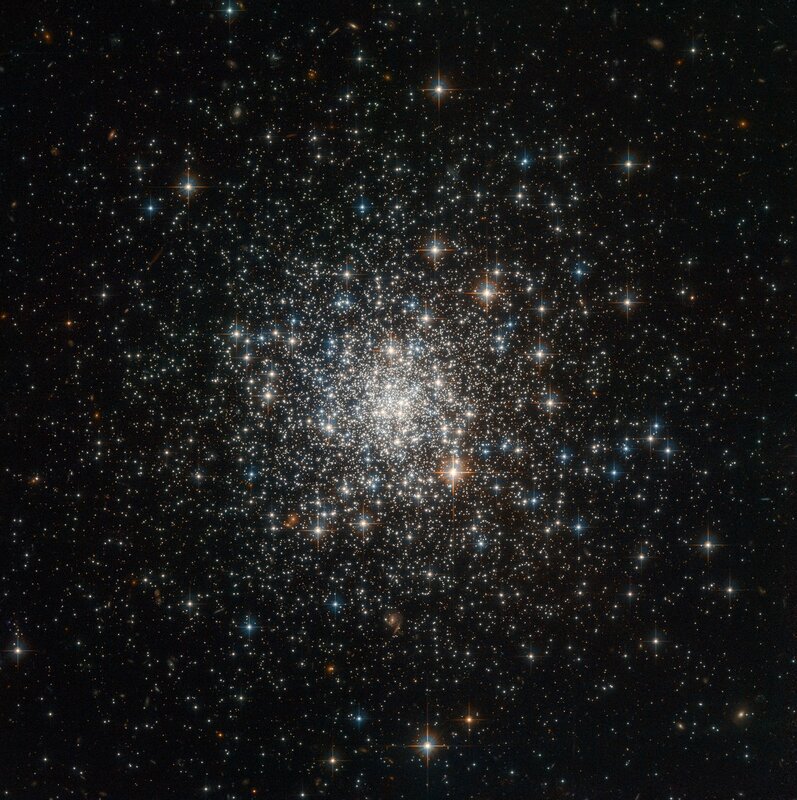 Because of their great distances, globular star clusters allow astronomers to trace the mass of the vast envelope of dark matter surrounding our galaxy far beyond the spiral disk. The total velocity of an object is made up of three motions — a radial motion plus two defining the sideway motions. However, in astronomy most often only line-of-sight velocities are available. With only one component of the velocity available, the estimated masses depend very strongly on the assumptions for the sideway motions. Therefore measuring the sideway motions directly significantly reduces the size of the error bars for the mass. 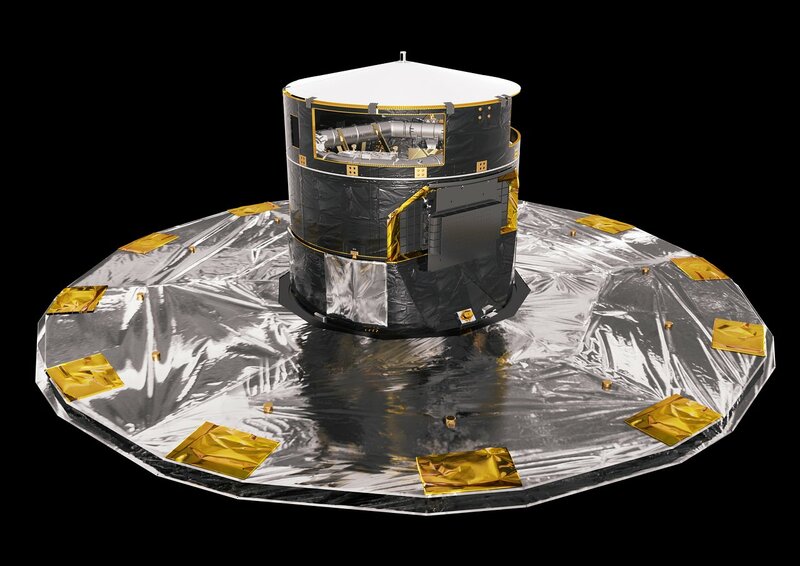 ESA's Gaia satellite was launched in 2013 to create the most precise three-dimensional map of more than one billion stars in the Milky Way. The mission has release two lots of data thus far: Gaia Data Release 1 in 2016 and Gaia Data Release 2 in 2018. More releases will follow in the coming years. The study was presented in the paper “Evidence for an Intermediate-Mass Milky Way from Gaia DR2 Halo Globular Cluster Motions”, which will be published in The Astrophysical Journal. The international team of astronomers in this study consists of Laura L. Watkins (European Southern Observatory, Germany), Roeland P. van der Marel (Space Telescope Science Institute, USA, and Johns Hopkins University Center for Astrophysical Sciences, USA), Sangmo T. Sohn (Space Telescope Science Institute, USA), and N. Wyn Evans (University of Cambridge, UK).